Israel reportedly refuses US request to extradite 18 year old suspect in wave of bomb threats against Jewish institutions. JTA - Israel’s Justice Ministry reportedly has denied a U.S. Justice Department request to extradite the Israeli-American teen charged with making threats against Jewish community centers throughout the United States. The State Attorney’s Office in Israel told its American counterpart that though the 18-year-old computer hacker has committed crimes in 10 different countries, he will be tried in Israel, Israel’s Channel 2 first reported Sunday. The report added that the U.S. has not backed off its request and that Israel’s denial has not caused a rift in the relationship. The teen from Ashkelon in southern Israel, who was arrested in Israel last month for making over 100 threats against Jewish sites in the U.S., has been named in the United States, but cannot be named in reports originating from Israel. 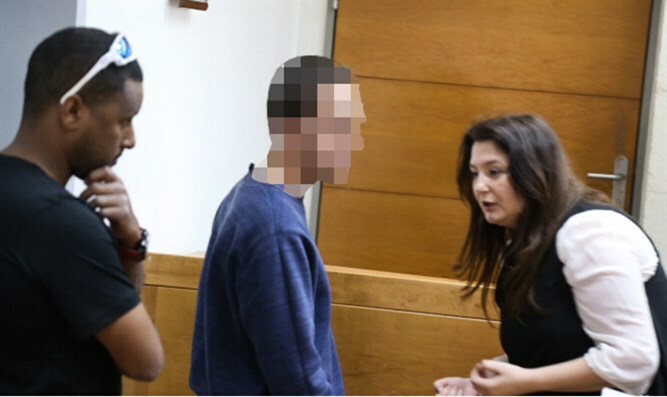 Israel’s State Prosecutor’s Office is expected to file a serious indictment against the teen on Monday, Channel 2 reported, including charges of extortion with threats, causing panic and money laundering. The Justice Department said on Friday that it was charging the teen with 28 counts of making threatening calls to JCCs in Florida, conveying false information to the police and cyberstalking. “Today’s charges into these violent threats to Jewish community centers and others represent this department’s commitment to fighting all forms of violent crime,” Attorney General Jeff Sessions said in a statement issued Friday. The Jewish state has complied with requests to extradite Israelis since the 1990s, given that those sentenced to serve in prison can do so in Israel, according to Haaretz.